The Akwa Ibom State High Court sitting in Ikot Ekpene Judiciary Division have sentenced a father of seven to death by hanging for the murder of his pregnant wife. A father of seven, Friday Uko, was on Thursday, been sentenced to death by hanging for killing his wife, according to Harrison Essien, a reporter of Akwa Ibom Broadcasting Corporation. Uko, a native of Ikot Ossom in Obot Akara Local Government Area of Akwa Ibom State, was condemned this morning by an Ikot Ekpene High Court on a one count of murder. 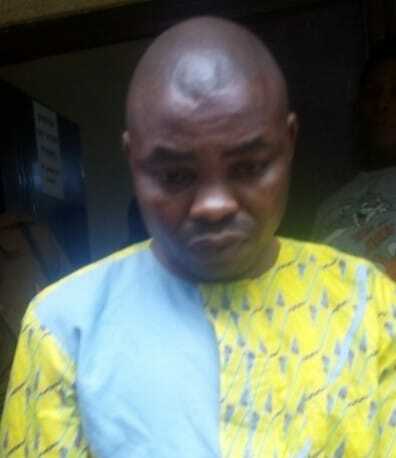 He was said to have kicked his three-month-old wife, Patience on 14th August, 2014, because she removed N1000 from his husband pocket and use it to cook food for their seven children (6 girls, 1 boy) the oldest being 10 years old.